Find out more about our Sunday and Mid-week groups. At St Mellitus we want to be a community that not only worship together but share life together. We want to actively pursue friendship and relationship regularly, and to that end we look to meet in smaller groups where this can happen. At the moment a group meets on Tuesday evenings in Hanwell from 7:45 pm until 9:30 pm. We would you love come along and join us as we have fun together, eat great food, delve into God's word and journey together in the Christian faith. For more information please get in touch with Stu Plumb. we believe that children play a hugely important part in the life of our church. Through all the activities we run for children, we aim to show the children something of the love of God and provide opportunities for them to grow in personal relationship with Him. During our 10am service on a Sunday we have a variety of different groups available for ages zero to twelve years. Allsorts is for all primary school aged children. Allsorts gives space for children to explore the Bible in a fun and engaging way through games, activities, crafts and stories. Alongside Allsorts, we offer an area for babies and toddlers to have fun, its equipped with baby toys, beanbags and speakers so that you don't miss out on the service. we have a variety of youth activities that aim to grow relationship with, support and disciple those in school years 7-13. We would LOVE to get to know you and welcome you to any of our groups! During our 10am service on a Sunday those in years 7-9 travel together to St Paul’s in Northfields for our joint youth group: Exalt. They meet together at the beginning of of 10 am service, then travel together on the E3 bus and are normally back shortly after the end of our service. On Wednesday evening those in years 7-9 join together with St Paul’s in Northfields for ‘Wednesday Night Live’. The takes place at St Paul’s church from 5.30-7.15 pm. There’s Xbox, Wii’s, board games, table tennis, tuck shop and drinks flowing, mixed up with some space to spend time with God and head off into guys and girls groups to finish up. Plugged In is our weekly youth group for school years 9-13. It's on a Thursday night, in the Vestry from 6.30-7.45pm. A typical Plugged In involves snacks, catching up on our weeks, games, Bible study and prayer. It is great opportunity to make friends and grow in our relationship with God. Plugged In would not be complete without our half termly socials ranging from quiz nights, brownies and board games or a good old pizzeria. Throughout the year, there are opportunities to join us on various trips away. 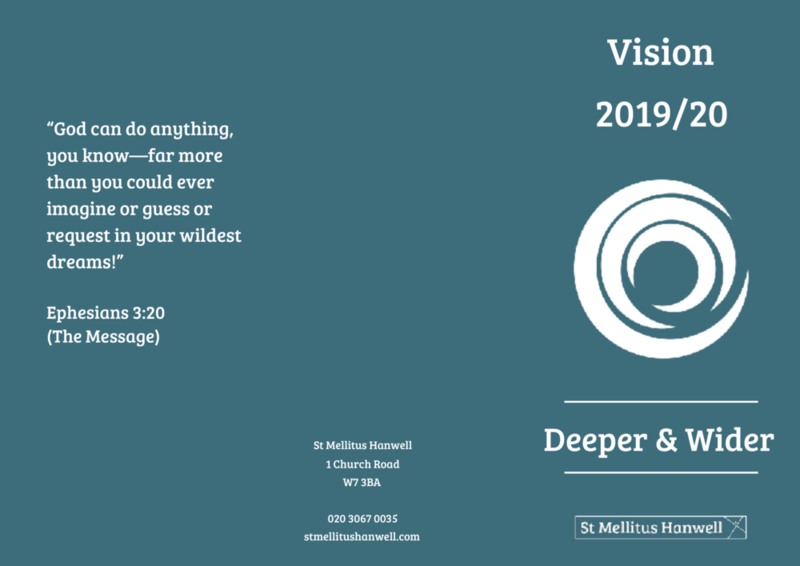 Every year, we join with St Paul’s Ealing’s youth group for a joint youth weekend away. We head out of London for a weekend of fun, games and worship. We have lots of free time to hang out, fun activities and challenges to get your competitive on and time where we meet together to explore the Bible, worship and pray. A highlight of the youth calendar, not to be missed! Each summer, we take a group of young people in school years 10-13 to Soul Survivor. Soul Survivor is a 5 day event where close to 10,000 people come together in a field in Peterborough. It is an opportunity to spend time together as a group, hanging out, eating together, playing games together and getting to know one another better. It is also an opportunity to spend some focused time with God – worshipping together and praying for one another.